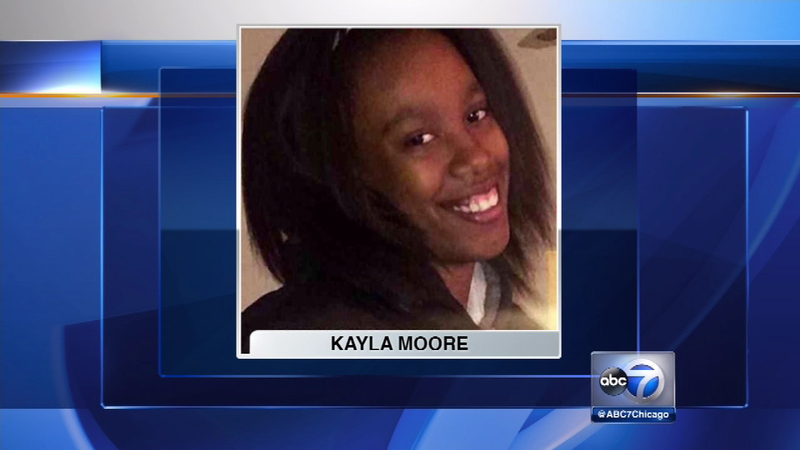 Kayla Moore, 14, was last seen Friday near 165th and Hermitage in Markham, her family said. She was at a sleepover and never made it home. MARKHAM, Ill. (WLS) -- A south suburban teenager missing since last week has been found, according to her family. Kayla Moore, 14, was reported missing after she went to a sleepover and never made it home. She was last seen on Friday near 165th and Hermitage in Markham. Her family said that Moore tried to call home on Monday, but a man grabbed the phone out of her hands. Police said earlier on Tuesday that they believed she was being held against her will. No additional information has been released.